As we look ahead, here are some of my Favorite Fall Getaways — for 2018 or 2019! 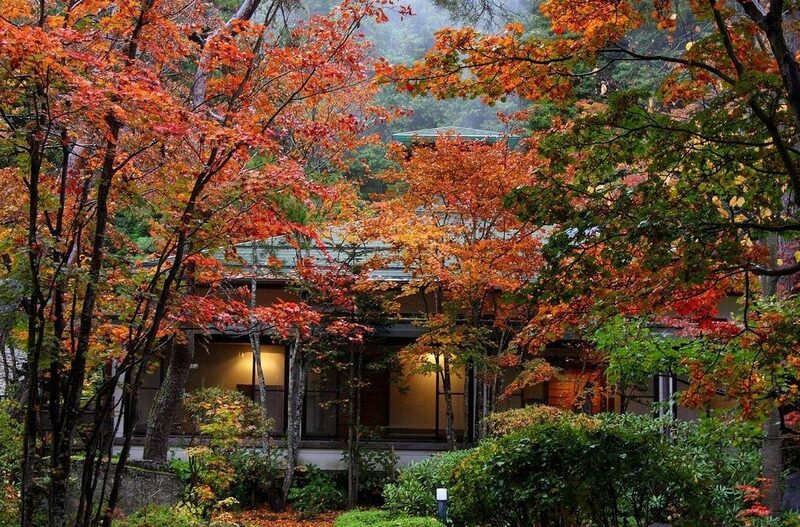 For centuries the Japanese have cherished koyo (meaning changing autumn colors). Join the locals to experience the stunning fall foliage in beautiful city gardens and shrines (particularly Tokyo and Kyoto) and in the mountains. The koyo season in Japan typically begins in mid-September in the northern island of Hokkaido, renowned for its unspoiled nature and outdoor activities. By early December the vivid colors have gradually spread to the southern end of the Japanese peninsula. Koyo has great significance in Japanese culture and art. Momiji (meaning both maple tree and red autumn leaves) is the symbol of autumn in Japan, and women often wear maple-leaf themed kimonos to stroll down garden paths and view the stunning autumn colors. Travel Weekly agrees that koyo is a very special time to visit Japan! Read more here. Enjoy the modern, trendy scene of Tokyo, the former capital and cultural center of Kyoto (we can arrange for a private dinner with a working geisha), enjoy a soak in an onsen (hot-springs) resort in the Japanese Alps and take a guided bike ride through the hills of Takayama amid the flush of colors. I highly recommend staying in a ryokan (traditional Japanese inn) for an authentic local experience! When it’s fall in the U.S., change it up and experience spring in the southern hemisphere. Chile is regularly at the top of my clients’ favorite destinations (and mine!). Everyone seems to fall in love with this country. Visit Patagonia and renowned Torres del Paine National Park where wildlife such as guanaco, rhea, puma and condor abound, (ok, the puma can be more difficult to see but sightings are not infrequent) and the views are always breathtaking. Go hiking, kayaking or take a boat cruise through the fjords. 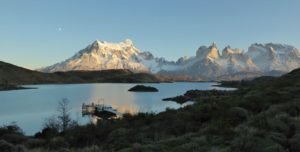 A typical itinerary includes 3 nights in the otherworldly northern Atacama Desert home to stunning colors and landscapes; a couple of days in the capital of Santiago; 3 or 4 nights in southern Patagonia; and 3 nights at a gem of a property Vira Vira, near Pucón, where you can raft, hike, climb a snow-capped volcano, and enjoy quality cuisine sourced from the owner’s farm. For those with more time, visit the funky port town of Valparaiso, the German-influenced lake town of Puerto Varas or even exotic Easter Island. Having lived for a year in Dijon, I can personally attest to the beauty and cultural significance of the Burgundy wine area. Start out with a couple of days in the City of Lights, where we can plan some unique Parisian experiences. Then take the high-speed train to the medieval city of Dijon, the gateway to Burgundy where the colorful grape harvest (still done by hand) occurs in the fall. There are many famous vineyards to visit and wines to try. Stay in a vineyard or in the magical and charming village of Beaune, where wine prices are set, tastings occur, and grapes are sold. Beaune’s crowning jewel is the Hotel Dieu, a former hospital built in the 15th century with a fabulous colorful Flemish-tiled roof that can be seen from miles around. Next hop back on the train to Nice and the South of France. Explore the hills above the Mediterranean full of charming towns with narrow cobblestone streets. Visit the compact village of St-Paul-de-Vence (and lunch in the famous Colombe d’Or) and Grasse, base of the flower growing and perfume industry. This area has long been a favorite of artists (think Matisse, Picasso, Braque, Calder, Miro, Chagall) and you can visit their homes and museums or browse in one of the many galleries showing works of contemporary artists. If you have time, take a gorgeous drive along the coastal cliffs and spend a couple of days exploring Monaco. Please join me November 16 – 25, 2018 on the Amazon’s newest and most luxury riverboat, the 5* Zafiro, and take advantage of this exclusive introductory offer — $1000 off per person. We spend a couple of days in Lima (at the Swissotel), 7 nights exploring the nature and communities of the Amazon basin and an optional Machu Picchu extension. This will be quite the bucket list experience! Click here to see more. Looking ahead, we travel to Cuba March 16 – 26, 2019 based on the huge success of this year’s trip. We will visit the lively colonial towns of Trinidad and Cienfuegos, dive and snorkel along the southern coast and Guanahacabibes Marine Sanctuary, visit Soroa and Vinales, spending the final three nights in Havana. Our 11-day trip will give you an authentic look at this fascinating country and many encounters with the locals. We have unique behind-the-scenes access and activities. And it’s a great value as just about everything is included. See more here. Contact me now to book any of these Fall Getaways or to find out about hotel specials closer to home!